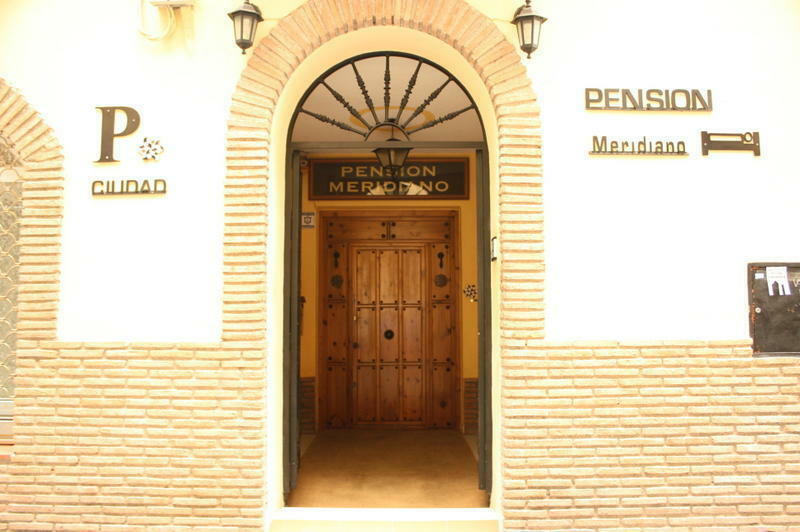 Funky Meridiano is located in the historical center, surrounded by tapas bars frequented by students from the nearby University. We have a common area so you can meet other travelers, read, watch TV or connect yourself to the Internet. 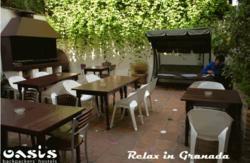 In summer and on sunny winter days, you can enjoy our beautiful terrace and patio. 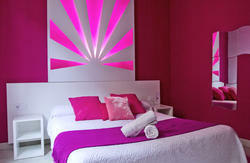 Our rooms are clean, comfortable and most have air conditioning. We have a common area with television and computers for Internet access. You'll love our terrace to enjoy the sun or the coolness on hot summer nights. We will wait for you with a welcome drink. 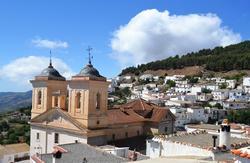 Stay with us and we will help you to get settled in Granada! Also we are flexible with cancelling or prolonging your reservation. We specialize in offering accommodation to Erasmus students. Check out our special package deals for short and long stays. Our multilingual staff will help you to discover the city and assist you in the difficult task of finding a flat. Join our FUNKY ERASMUS PROGRAM, and receive all the exclusive advantages created for you. From the bus station, take line 3 or 33. From the train station you can take the bus line 3, 4, 6, 7 or 8. The stop is number 1 of the Gran Via de Colon, near the Cathedral. To your right, take the street Carcel Baja. Pedestrian continues forward until Plaza Trinidad. The sixth street perpendicular to the right, is Angulo Street. We are at number 9.